10 Favorite Metal Albums Of 2014 In 2014, metal still believes in traditions and keeps the faith, but recognizes that evolution is inevitable — with some of its defenders kicking and screaming. 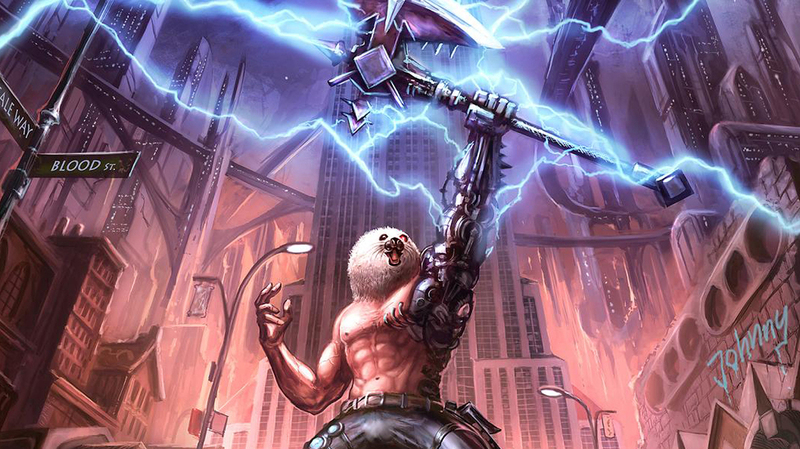 Johnny, Riot's seal mascot, returns after a long absence on the cover of Unleash the Fire. I like to look at 2014 in metal through the lens of two very different, very thoughtful covers projects. In one, Brownout's joyous Brownout Presents Brown Sabbath, members of the Austin, Texas-based music collective took the iconic riffs of Ozzy-era Black Sabbath and surrounded them with a soulful horn section, funky Latin percussion and thick, thick fuzz. It plays with tradition, reinvigorating what we think about songs like "N.I.B." and "Hand of Doom" and placing them in a cross-cultural context that is very approachable because it sounds like the border party of Ozzy's dreams. 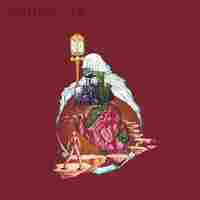 At the other end of 2014 was The Soft Pink Truth's Why Do the Heathen Rage?, a record that not only brings black metal classics into the dance club but also appropriates their meanings. Sarcofago's "Ready to F- - -" becomes a glittery, queer house jam sung by Jenn Wasner (Wye Oak, Dungeonesse). Somewhere, somebody is voguing to "Beholding the Throne of Might," Darkthrone's original now soundtracking executive realness. It's unapologetic, it's profane, it's delicious. These are the growing pains of 2014. We still believe in the traditions and keep the faith, but recognize that evolution is inevitable — some of us kicking and screaming. Below are my favorite metal albums of the year that, perhaps tellingly, straddle both: underground legends who never gave up the tradition, young guns that keep it going; an underground legend who never stops innovating, young metalheads leaping across genres. Longhena is grindcore at its most pristine, most masterful, most insane. Then again, Gridlink has always come up against the conventions of the speedy extreme metal genre while celebrating them, flying gorgeous (even hooky) melodies against million-mile-an-hour blast beats and Jon Chang's demonous shriek. Unfortunately, this third album is the cross-continental band's last. Chang has retired from music and Takafumi Matsubara suffered a brain infection that now leaves him unable to play guitar. But what a hell of a way to go out — we'll be dissecting these 21 minutes of miniature grind compositions for years to come. 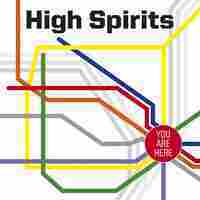 You Are Here sounds like our teenage heavy metal dreams if they actually manifest. High Spirits is solely the work of Chris Black. He's a member of the traditionally-geared metal bands Superchrist and Pharaoh, plus the leader of Dawnbringer (this year's Night of the Hammer is mandatory listening). But what draws me to You Are Here is the care that goes into every melody, every double-tracked guitar riff, every drum beat that feels like a lifer's heart thumping for metal. You Are Here is available from Hells Headbangers and Bandcamp. The thing about Sweven isn't that a capable Swedish band risked abandoning the death metal that made its debut so damn impressive. Morbus Chron moves from Autopsy-like filth to dream-like melodies that skirt the edges of madness in a psychedelic haze. The thing about Sweven is that it's an immersive record by a band that — like Death and Dismember before them — has given madness its proper stage, eschewing lunatics for ambiguity and nuance. Sweven is available from Century Media. It's all in the name. Though Origin wasn't the first technical brutal death metal band, we can point to its early 2000s albums as touchstones of the extremely extreme, when metal shifted its focus away from melody and songcraft to insane skill. 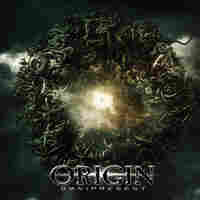 But as the genre kept trying to outdo itself, Origin evolved melodically, which is why its sixth album with Colin Marston (Behold the Arctopus, Dysrhythmia, Krallice) behind the boards is so inspired. Every snare pop is gleeful, insanely executed riffs and surgically reconstructed solos are crystal clear, and new singer Jason Keyser's (ex-Skinless) alternating growls and shrieks punctuate the precisely-performed tracks with a raw presence oft ignored in the genre, giving it shreds of welcome humanity. 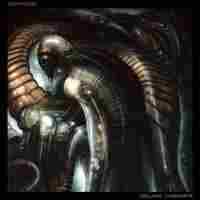 Omnipresent is available from Nuclear Blast. Foundations of Burden is doom metal made for concert halls, a massive-sounding release that significantly improves upon Pallbearer's heartbreaking debut album from 2012. In Foundations, hooks are carved deep into walls, two bandmates join Brett Campbell's majestic voice in a contrast that's nearly punk, and the songwriting comes into dynamic, contemplatively heavy focus. 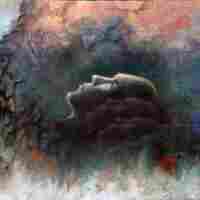 Foundations of Burden is available from Profound Lore. Sometimes you miss a record because your crew didn't tell you about it, or its promotion didn't hit your usual joints — or there's just too much damn music out there. Nevertheless, I kick myself for only discovering Riot V's August release a few weeks ago. 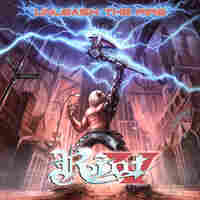 The heavy metal band has weathered all kinds of lineup changes over its 40 years, including the death of guitarist Mark Reale in 2012 and singer Tony Moore's retirement from music, which is why — without any original members — Riot is now Riot V. Unleash the Fire shares part of the band's Thundersteel/The Privilege of Power roster, and captures that classic speed/power metal sound with authority (see: "Live Hard Die Free," "Bring the Hammer Down," "Kill to Survive"), but also ushers in a more anthemic era that energizes the Riot discography. As metal gets more extreme, sometimes it's best to remember a simpler time: hot riffs, hotter shredding, a ripping voice that commands the horns to get the hell up, and drums that sound like they were recorded in a booming arena for maximum effect. The members of Skull Fist have imbibed the masters of old — Riot, Tokyo Blade, Helloween — to not only nail that classic speed metal sound but also shotgun their own energy with some of the most memorable songs the genre has heard in years. 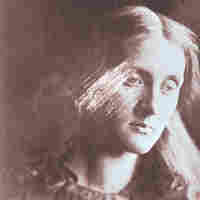 Thou is restless. 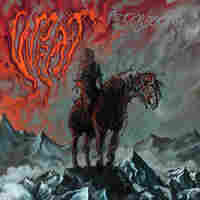 But more than ever on Heathen, the doom metal band takes time to let riffs develop. Layers upon layers of guitars create their own seared majesty and melodies drag out to spectacular effect. It's a record that references itself subtly without needless repetition, introducing horn and string arrangements that give this depravity some class. Simply put: Thou wants to give us new ways to think about heavy. Heathen is available from Gilead Media. Tom G. Warrior has made a career out of the unexpected. His metal bands Hellhammer and Celtic Frost were introspective when everyone else faced outward, gurgling that experience into unknown musical places. That's part of what makes Triptykon such a fascinating chapter of Warrior's career, three decades worth of experimentation distilled into a single project that continues to dive into darkness. Melana Chasmata is magnificent in its melancholy, balanced between an unrelenting crunch and graceful guitar work, still finding ghosts of Warrior's past to excavate. Melana Chasmata is available from Century Media. The groove is strong with Wo Fat. Wo Fat is strong with the groove. Stoner metal knows that rhythm all too well — the swaggering hem and haw and spit — but the Dallas band has a deep knowledge of Texas psych-rock, not to mention the chemistry of a blues trio that ain't missed its Friday night dive-bar gig in decades. The Conjuring is a record that comes alive every time you hear it, summoning spirits in its wake. The Conjuring is available from Small Stone.